Heavy equipment is essential for work in a wide range of construction industries. This equipment has transformed the construction and agriculture industries through the last few decades by allowing greater efficiency with fewer workers. Heavy equipment auctions offer many benefits to businesses that are looking to replace broken or worn out equipment. Many companies may be looking to expand their machinery inventory too. Let’s face it, Alex Lyon and Sons has the best inventory when it comes to heavy equipment auctions. Heavy equipment is an essential and valuable asset for construction businesses, but it’s also expensive. Buying from heavy equipment auctions allows for contractors to stretch equipment budgets, gives buyers a chance to get a quality machine at less than retail value and often businesses can land a discount on the equipment they need. Dealing with the professionals at Lyon Auction can make the entire buying processes at one of our heavy equipment auctions more pleasant and predictable. There is no need to deal with unknown sellers, risk potential fraud, fraudulent transactions or deal with sellers who do not understand the needs of buyers. Plus, at our heavy equipment auctions, there’s no haggling and no hard sales push. You will only have to bid on the items that you and your business needs. Buying at heavy equipment auctions lowers the purchase price and limits depreciation. New equipment depreciates significantly before it is even used on the first job site. Heavy equipment auctions provide an opportunity for buyers to see a wide variety of equipment that may not be available at local equipment dealers, including older models that are known for their reliability or multiple types of machinery that is capable of performing similar tasks. Buying used tractors, excavators or other machines at heavy equipment auctions allows buyers to take advantage of more choices. 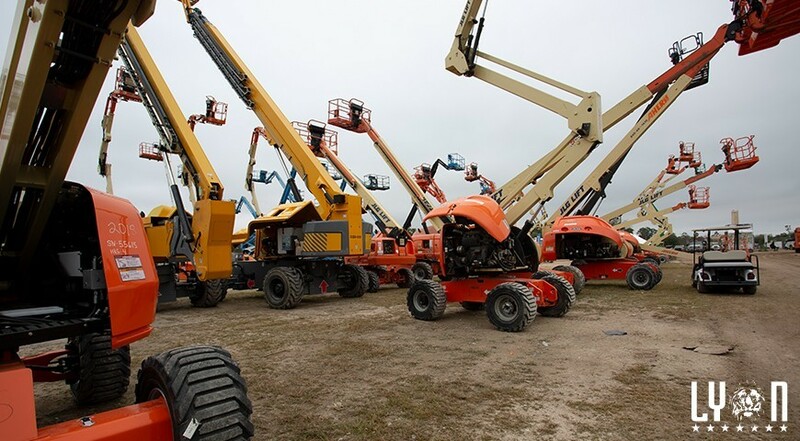 In addition to equipment from different manufacturers, auctions may have equipment of varied age and value. This allows auction goers to approach a heavy equipment auctions with an open mind and consider the different pieces of machinery that might work for their business plan, price comparisons and features of each machine. Finally, there is less buyers-remorse when buying quality, used machines at heavy equipment auctions versus buying brand new machines. Many times contracted jobs will require specific equipment that many businesses might not need on a regular basis. By purchasing used equipment for these specific jobs, you’ll avoid the cost of leased machinery and still maintain the ability to resell if your equipment isn’t being used frequently.